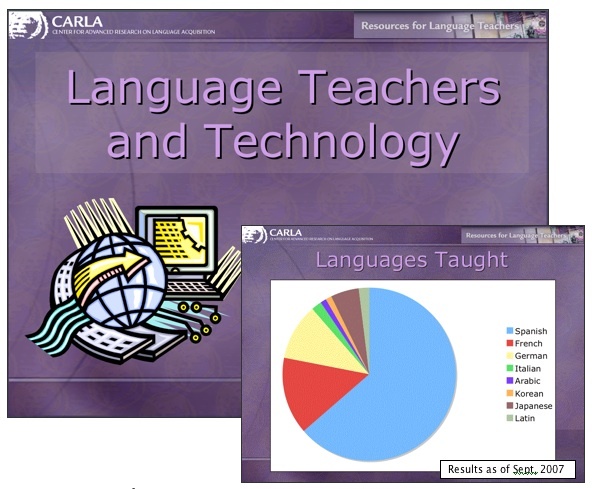 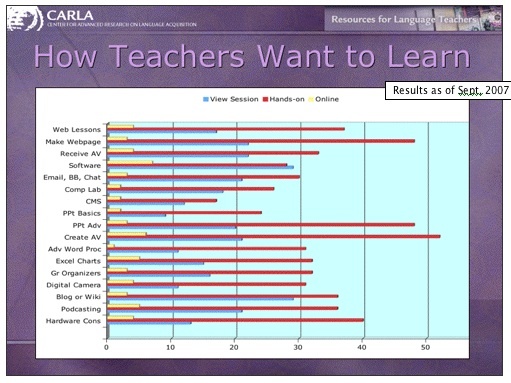 To support language teachers’ need for new technologies, the LT4 (Technology Training Targeted for Language Teachers) project published a survey to determine the needs of language teachers with regard to technology. 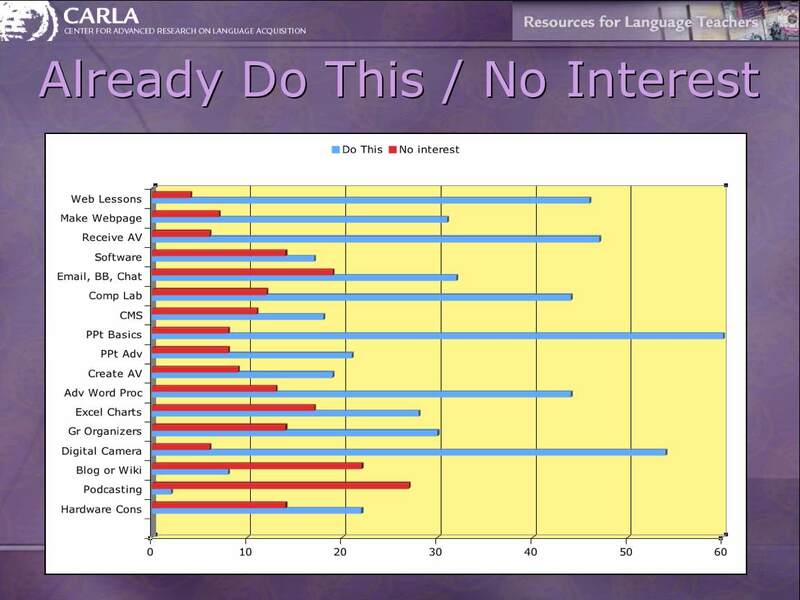 The technology skills survey has been circulated and completed by more than 150 language teachers from around the country. 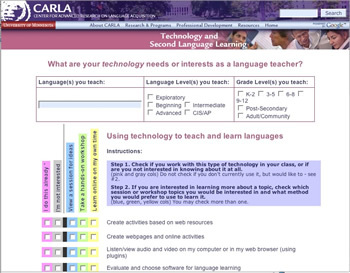 The data gathered from this survey will guide the process of selecting topics and approaches to offering technology learning experiences to language teachers. 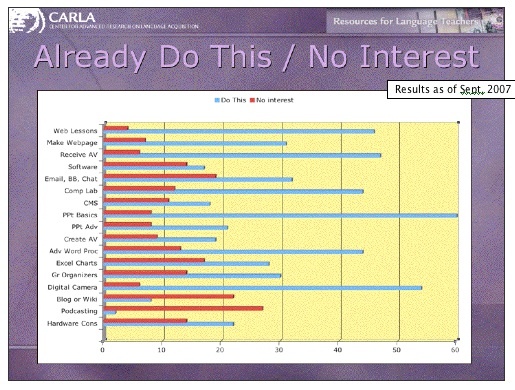 The results of the survey from Sepember 2007, are summarized below.